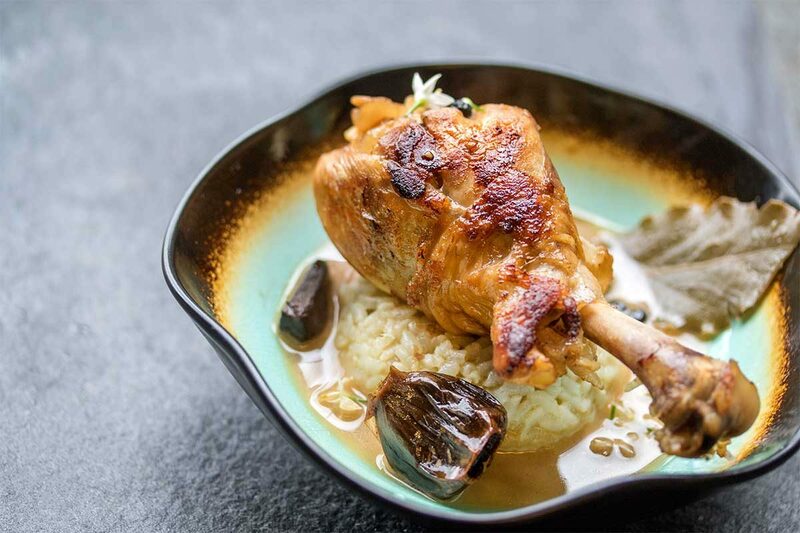 Adobo is an intensely savory, sweet & tangy sauce/braising liquid from the Philippines that does amazing things for chicken and rabbit (rabbit leg adobo recipe). We’ve even paired its distinctive flavor profile with lamb (lamb racks with adobo-inspired gastrique recipe). Combine the drumsticks & braising liquid in a stock pot. Bring the mixture to a boil, reduce it to a simmer, and cover the pot with a lid, slightly ajar. Simmer until the meat’s cooked through (about a half hour), turning the chicken legs over occasionally. Pull the legs out of the sauce. Return the sauce to the stove & simmer to reduce it by ¼. Strain the sauce and swirl in the 3 tbsp of butter. Taste it & add salt as necessary. Sear the chicken legs in a hot, oiled frying pan or skillet, just until they caramelize on the outside. Gently squeeze the black garlic cloves out of the head. 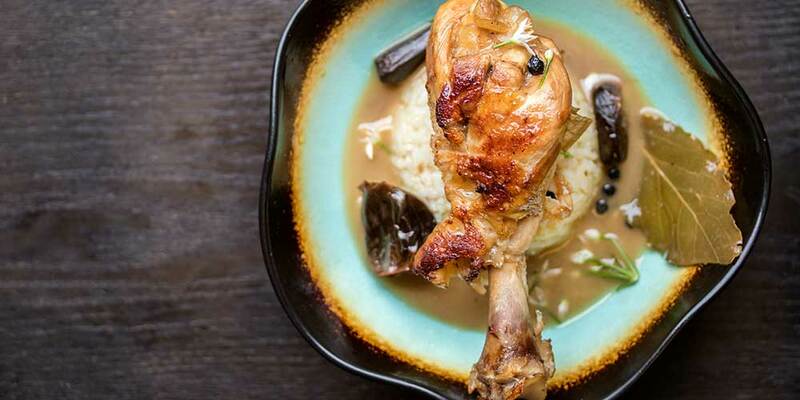 Serve the chicken legs with the sauce, black garlic cloves, and your rice of choice.